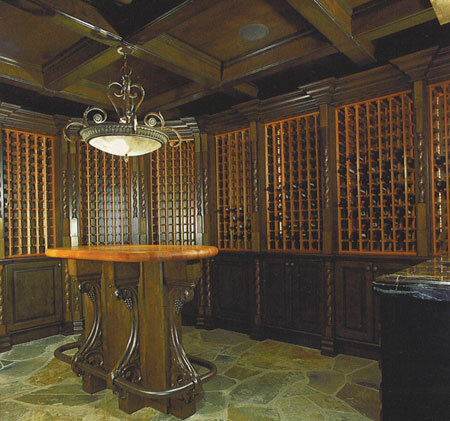 Francis and Wane provides high-end cabinetry for consumers in the exclusive desert enclaves of the Coachella Valley. Browse a web exclusive gallery of the company's work here. Connoisseurs of the finer things in life appreciate Francis and Waneâs ability to make their ideas a reality. When affluent home buyers build their dream homes in the desert, respected custom cabinetmakers Francis and Wane are there to make sure that they are completely satisfied. million dollar homes apiece (80 to 100 in construction right now), why would a woodworking firm want to do business elsewhere? âThe most expensive job weâve done was $1.6 million,â says Britton. And for now, at least, the economic woes affecting the rest of the country seem to have bypassed this region of the United States. This gold leaf office is an example of the high-end cabinet work Francis and Wane specializes in. In fact, business is better than ever for the busy firm. Britton says that their business is 100% high-end residential, with most of their work coming from contractor referral. As a custom shop, they have never had to advertise, he adds. Francis and Wane has had success working out of a 6,400-square-foot shop (with a separate location for offices and showroom), conveniently located within an area teeming with other industry specialists. The company, owned by Brett Long, Jay Andrews and Mark von Iderstein, has 25 employees, many of whom have been with the company for several years. Also important to its strategy, the firm believes strongly in âhiring technologyâ and to that end has made several major equipment purchases that Britton says have paid major dividends for the bottom line. One of the most important purchases, according to Britton, is a C.R. Onsrud Panel Pro CNC router that the company bought three or four years ago. But Britton says the move to CNC was not without its challenges. The cost of the router was only one part of the investment, as vacuums, compressors, transformers and the cost of the Microvellum plug-in added to the overall price. Another investment that has paid for itself ten-fold, Britton says, has been a Laser Products Industriesâ LT-55 laser templator. The company purchased this device when they did a âmonsterâ job that had a bunch of angles, including a huge, 256-foot curve. Prior to that, the company had to take paper templates, lay it out and cut it all on a table saw. With the LT-55, they set it up on a tripod and picked points on the wall. The LT-55 creates a DFX file (AutoCAD 3-D vector graphics), from which they are able to produce a floor plan with all the different angles and radiuses, which in turn can be loaded into Microvellum. 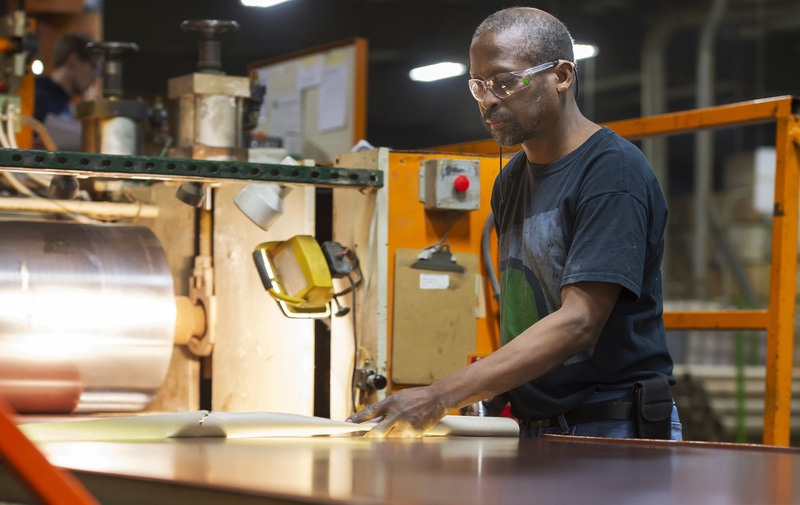 Francis & Wane also offers factory-built kitchens as a lucrative part of its business. Francis and Waneâs forte is in high-end custom cabinetry, but they found that they were turning away a considerable amount of business from potential walk-in customers, many of whom were not looking to spend $45,000 to $50,000 on a kitchen, but were looking more for kitchens in the $20,000 to $25,000 range. The companyâs focus did not allow it the ability to produce these cabinets themselves, but it hit upon a solution that allowed them to retain this valuable business. The company took on several cabinet product lines, opening a showroom featuring these products in 2003. This division, called F&W Kitchen and Bath, has served to capture business from the general public that might have been lost, while contributing anywhere from $250,000 to $1 million per year to the overall company sales. Britton says that working with the affluent is rewarding, but every business has its own challenges. With anywhere from seven to 11 projects ongoing at any time, the company must maintain schedules, follow country club building regulations and work with contractors and quality-conscious customers alike. Britton says this was not always the case. Since such homes often can take years to build, this has led to the company developing close relationships with the homeowners â something that Britton expresses considerable satisfaction over. He points out that they have done quite a bit of work on a few celebritiesâ houses. But lest one thinks Francis and Wane only does work for the stars in this playground for the rich and famous, Britton sets him straight. âWe mostly do work for the people who pay the stars,â he says. 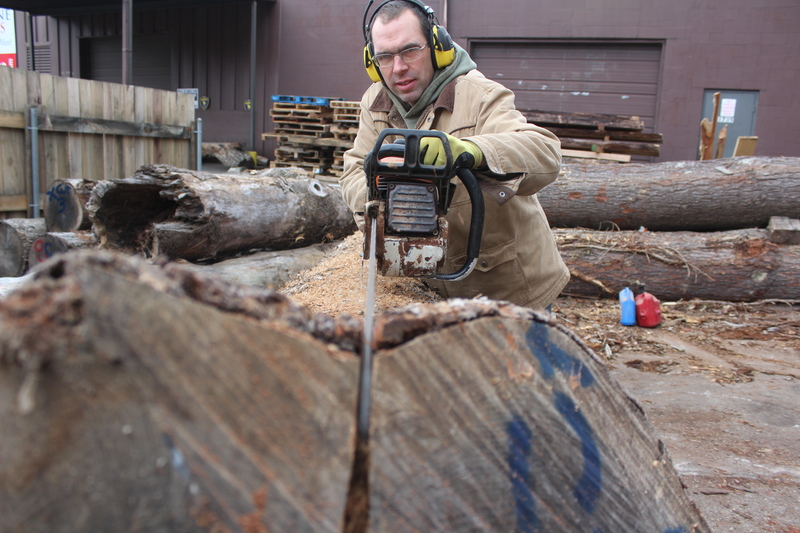 These clients tend to have an eye for the beautiful, and Britton says this requires the use of a lot of exotic woods. When a customer wants something different, such as a âwine caveâ (above), Francis and Wane is ready to make the clientâs vision come true. The customers often make the call on veneers. One couple was in a highrise elevator in Chicago and saw paneling they especially liked. They did their own research and discovered it was sapele. Their house was in the Mediterranean style, so Britton says the company did an applied moulding door style with mahogany frames that highlighted the contrast between the woods to great effect. Some of the most challenging homes have included features like a 70-foot water slide, a home on three lots, where a water-filled channel was dug under the glass floor in the center, and another home with a glass floor that looks down into the garage below, where the owner keeps his collection of rare and prize-winning cars.